It’s Guest Blog Wednesday featuring Jon Reid! "Wow, that's a great job, second only to being a Top Gear presenter!" - stranger on a plane after hearing what I do. I'm a travel photographer. It's a great job title, because it means so much and so little at the same time. It's my best attempt at being mysterious. More specifically, I make a living by creating imagery of different tourist attractions around the world. The vast majority of my work is commissioned photography which my clients use for advertising and travel guides. I occasionally do features for magazines or commissions for the hospitality market. Travel photography is not the same as holiday photography. I go away for months at a time, working 12 hour days without a day off. Under these conditions, I get a bit blas© about travel. On days like this, I stay motivated by challenging myself to create a good picture even when the subject matter doesn't interest me. The craft motivates me. The converse is also true. There are days when my back is aching from carrying gear and I don’t even want to look at a camera, but I’m so awed by the scene in front of me that I'm compelled to photograph it. My schedule during a shoot is packed tight. There are no opportunities for reshoots. A myriad of different problems can derail a shoot and when you consider the expense that goes into producing a shoot; it can be career ending. Almost daily, I face the access problem, even though I have official permission. How am I supposed to get interior images when no photography is allowed or smooth video shots when they don't allow tripods? Another problem is weather and light related. I don’t have the luxury of waiting for perfect conditions; I’m expected to make good images in all conditions. Additionally, almost every trip is plagued by flight cancelations and visa issues. The most serious problems are health related. If you or your family member gets injured or sick, where are the local hospitals and will they help you (in Corfu they did, in Geneva, three different places turned us away). This can get serious very quickly when you're in a foreign country with an unfamiliar language and culture. Imagine two months away from friends and family, with a constant lack of sleep, a physically draining workload and no conversation. Couple this with the highs of tasting the perfect meal, seeing the most breathtaking landscape or witnessing light that seems unbelievable. Travel photography explores some of the highest and lowest of human emotion. I consider myself to have an even temperament, mostly in control of my emotions, but there are days when I am severely tested. Long after I’ve recovered physically from a trip, I still feel the remnants of the emotional roller coaster that is travel photography. My interest in photography began with landscapes. I was part of a community of landscape photographers, exploring South Africa beyond Table Mountain. This was about 10 years ago, before every photographer had their own website. A designer friend put a website together for me and I marketed myself as a travel photographer. This surprised the community and one of them asked me about it. “Of course I’m marketing myself as a travel photographer, how else am I going to get someone to pay me to shoot landscapes?” The community approached landscape photography with a view of creating fine art. My approach was to show a beautiful landscape to motivate others to travel to see it. Many photographers in the community continued to evolve as landscape artists, far surpassing what I can do. Some are now exceptional photographers working as full time landscape photographers. I followed a different path. I realized that I was more interested in sharing a travel experience than creating beautiful landscape imagery. I worked out that travel photography is created with the intention of causing interest in a specific destination. By that definition many photographic genres can also be travel photography if the photography highlights the interesting aspects of a destination. After my website went live, nothing happened. No one discovered me and I was in the exact same situation as before, only with the added expense of web hosting. It wasn’t a pointless endeavour however; having a portfolio online showed me some glaring weaknesses in my work. The most obvious was that as a travel photographer I hadn’t done much travelling. At the time, I was working as a business analyst for a bank, with 15 days of annual leave. I used this time and every long weekend available to explore and photograph South Africa, but it was never enough. To get more travel time, I took an opportunity to become a teacher. Having this intermediate career, one that provided both a steady income and time to travel was crucial in my transition to full time photographer. My salary was cut in half, but I now had almost 3 months of travel time every year. One thing that I didn’t have was immediate access to an international airport. In trying to decide between Cape Town or Durban, somehow London won so my wife and I moved to a new continent. I was 26 and had never seen anything outside of Africa. Just being in London left me in awe. When I started travelling through Europe, I was like a child in Disney Land – wide eyed and full of wonder. During these trips into Europe, I began to appreciate connecting emotionally to locations. I was a better photographer when I worked out of a sense of wonder. My style evolved to where my objective was creating imagery that captured my sense of wonder and awe. My photography started to show my emotional attachment to the location. For my photography, moving to London was the best move I could have made but it had an adverse effect on my confidence. I was the only travel photographer in my home town. London has enough travel photographers to populate my home town. Not only is London a huge city, it is also an art and design capital with a magnetic pull on creatives. My lack of confidence meant that I didn’t follow the traditional path of contacting art directors to show my work. I fully believed that if I kept working on my travel photography and posted the work online, someone would notice. In a world where millions have access to your photography, if you photograph something that genuinely interests you, someone else is bound to be interested in your work. My online outlet was Flickr through which Getty offered to sell my images. It took awhile, but eventually I was making enough money through travel stock to fund my travels. After seven years of paying to be a travel photographer, I was making enough from photography to cover my costs. I had a series of small, one-off shoots through my online presence, but nothing significant. When I received an email through flickr at 3am from someone offering to send me around the world to take photos, I wrote it off as spam. The next day, I wondered about the email and fortunately I followed it up. The message had come from an agency that produces media for major travel companies. They asked if I could do a trial shoot around London. This happened to be in my school holiday period, so despite them paying for two days of work, I did about 6. I’m not the most talented photographer, so I make up for this with hard work and I wanted to grab this opportunity. The agency was happy with my trial shoot and enquired about my availability for future shoots. I gave them all my holiday time. After a few months of not hearing anything, I received an email asking if I had time to go to Amsterdam and Prague. I had flown back that morning from a 20 day trip in Turkey and had one week of holiday remaining before school began. My bag was still packed, so I left for Amsterdam that afternoon with no production time. Once again, I over-delivered, working from sunrise (5am) to sunset (10pm) without breaking for lunch. I did the week of work, arrived back home at 1am and started school at 7am. I'm quite sure I was a lousy teacher that day. The shoot went well and the agency were happy enough to commission a follow up shoot in Berlin-this time with all the permission and access arranged in advance. Through conversation with the agency, I realized that other photographers had spent too much time trying to create the "hero" shot. This meant that they were not able to fully cover the brief. In addition to working hard, I made it a goal of mine to be dependable. Imagine you're an art buyer looking to commission a photographer. Do you hire the uber talented but erratic photographer or the photographer that consistently delivers? Every time I did a job for the agency, I endeavoured to be the second photographer. After two years of giving this agency all my holiday time, they asked me how they could get more of my time. I hadn’t told them I was a teacher, they assumed I was a busy photographer. I calculated my annual expenses and my desired income which gave me a figure which I could convert into working days. I told them if they could give me 100 days of work a year, I would take it. They agreed and gave me about 200 days and I resigned as a teacher. Travel as much as you can on your own budget, putting your work out for the general public. If and when an opportunity arises, do everything it takes to grasp it. In my case, it took 10 years. What happens if an opportunity never arises? In the worst case, you will have travelled the world, had life changing experiences and created stories worth telling with photographs to prove it. A sexier option is to resign from your day job, take out a loan to buy gear and an around-the-world trip. Immerse yourself in travel for a year and then hit up as many art buyers as you can with your portfolio. That is the romantic, quick way for breaking into travel photography. In my opinion, the first option, the one that requires patience and time, creates a sense of gratitude which leads longevity. Every photographer that I know that is still a working photographer took some version of my story - the drawn out approach. Finally, if you’re still reading and your still up for being a travel photographer, congratulations on your career choice. It’s the second best job in the world. If you have any questions, leave a comment and I’ll answer you as soon as I can! You can see more of Jon’s work at NomadicVision.com, and follow him on Facebook, Twitter, Flickr, Tumblr, and Instagram. Very interesting story and what a leap of faith! Good choice, Durban is a pain to travel from internationally! Popped over to your site, great work and style, particularly using people adding interest and scale. Thanks James – I’ve got a couple of friends who live in Durban and work in the media industry. They also complain about the pain of international travel. Thanks for the correction – I should have adhered to the Italian advice I received, it is always spelt like it is pronounced. Interesting story and a great portfolio on your web site (especially those scapes from Italy). Thanks for sharing! Thanks very much for the feedback. Italy has been really good to me. I love the last shot of Vernazza. Italy is on my bucket list. Great images and a terrific life story. Thanks for sharing this today. Thanks John – when you get to go, feel free ask any questions. Of all the places I’ve visited, it is one of my personal favourites. Awesome bru! You are an inspiration – seriously! “I was a better photographer when I worked out of a sense of wonder.” Great advice, Jon. Your work is a huge encouragement. Great story and photos, if you ever get to Michigan in the US and need someone to haul gear let me know. Thanks Jeff. I’m pretty desperate to get to North America. USA, Canada and Mexico are all high up on my wishlist. I’ve got the Caribbean coming up early next year, so maybe I’ll have a chance to pop over. Cape Town is one if the best places to shoot in the world. Did you manage to spend time there? If yes, it would be great to see some of your landscapes. Isn’t Rio de Janeiro beautiful? I love my city. Yes it is Marta – friendly people, great food, beautiful scenery and world class architecture, one of my favourite cities in the world. Awesome moments captured Jon. I hope your next batch will be from my country – Serbia. I saw you’ve already been to some Balkan countries. Great work and story. Hi Nenad, thanks for the kind words. Unfortunately, I don’t have Serbia scheduled for this year, but I’m quite sure Belgrade will be on my schedule for either 2015 or 2016. Jon – Love your work and thanks for relating your “overnight” success story. We all want everything now and it was encouraging to hear how lots of hard work and persistence paid off for you. Thanks for sharing! Thanks Miles – my story left out all the moments of frustrations and misfires. Its more of a highlights package. Quite an interesting article. I’m saving it as a re-read. I was at the Ponte Vecchio a few years ago… wish I knew then what I know now… Your photo is stunning! I do aspire to be a travel photographer and only recently started accepting what it will take and figuring out how to move forward. What you wrote is truly helpful. Cheers! Thanks Barb. I watched one of the Hannibal Lector movies before visiting Florence and saw the opportunity for this shot. Inspiration comes from the strangest places at times. Jon, I teach photography for an international online diploma course, including having written a 25 000 word advanced module on travel photography. I just wanted to say that your gusty, honest article is just the sort of thing that my students should read, and I’ll be sending them here. It’s too easy for beginner’s in photography to think that they just have to buy a good camera to get a job with National Geographic. You really tell it like it is, and the reality is refreshing. The other misconception many neophyte photographers hold is that they will need a bagful of prime lenses to do the job well. I was delighted to see your advice about the two zooms in this section. It just happens to be precisely what I advise myself, although I can’t say it’s always what people want to hear. Thanks again for a wonderful read. Thanks Stephen. I would love to go through your module. A key part about my journey is that I’m constantly looking to improve and spend at least an hour a day reading and researching something photography related. As for working with primes – my back and shoulders undergo what can only be described as torture. I carry 3 zooms (one hardly gets used but is small) and a tilt shift which isn’t much, but after miles and miles of walking and shooting, it reduces me to grumpy, petty, lazy photographer. I’m of the old school and started in photography when zooms were a rare thing (and digital photography was a thing of Science fiction). But these days, as good zoom will do the job for me. This entry really hits home for me. I particularly love the … “Being Dependable is More Important than Having Talent” … section. Scott was right, Jon, you are an inspiration! Thank you so much! Thanks so much for the feedback Curt. If you can find an essay called ‘the Myth of Talent’ by Craig Tanner, I think you would really enjoy it. 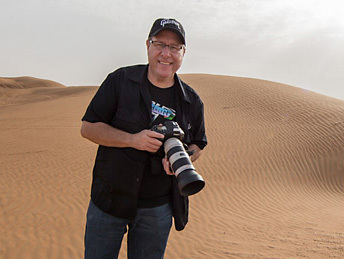 I have seen all “business side” photography classes on Kelbyone. Eventhough I loved them all, non of them answered my questions. This one finally did. In one short article, you have told me more than I have seen in hours of footage on Kelbyone. Thank you very much, You have just told me “keep going”. That is a super valued lesson for me. Thanks so much Pavel. I must say, a lot of what I’ve learned is from the Kelbyone business side section. Without intentionally realising it, this article is a summary of some of that knowledge. Some of Zack Arias’s talks, both on Kelbyone and elsewhere have pushed me through when I’ve been close to quitting. OK, I havent seen Zack Arias yet, but I am going to right now :) Thank you one more time. Thank you for telling it how it is John. At one point in my life I considered pursuing travel photography as a second career and I did quite a bit of research into what may be involved. I came to the conclusion that the potential stress factor would not be right for me and had the potential to destroy what has been for me something that I love doing. Your excellent post has outlined to me that I made the right choice for me. Thank you! Hey Dave, what you mention is so true. There is an innocence of doing travel photography simply for the love of it that I miss now that I rely on it for my income. Happy to hear that you’ve protected something that you love. Wonderful – in the proper definition of the word! Very encouraging Kevin, thanks so much! You certainly have achieved this – “My approach was to show a beautiful landscape to motivate others to travel to see it.” – I want to go see every spot you photographed. Thank you for that! That’s excellent news Sara, thanks for letting me know! That was a great story. Thank you for sharing it. Lovely, lovely work, Jon. I’ve been inspired to fly to New Zealand recently to create a photobook that I can share with people back home who most likely will never get the chance to go there. I’ve been kicking around ideas on how to make it happen and am wondering if a Kickstarter would be a good option, since the book is what ultimately would be what people would be helping me to fund. Does this sort of endeavor work out, or is it more trouble than it’s worth and should I just start saving money and vacation hours to do it myself? Hmm! Thanks for the kind words Katie. I don’t have any experience with Kickstarter, but I’ve heard that 90% of projects fail to get the necessary start up capital. For a project to succeed, you either need a unique and interesting project or a lot of followers through social media streams who will support you and share your work. Personally, I’d feel better paying my own way and not being tied to a project that I had to deliver on. Perhaps self funding the NZ trip and recouping the expense via stock sales is an option to consider. Thanks for the feedback! Do you have any favorite stock sites that you can recommend? I’ve built a small library of texture photos for stock already (the variety of realistic faux textures in amusement parks is amazing!) but wasn’t sure which companies would be best to sell through. Getty and Corbis are the best in terms of selling power, but they’re tough to get into. 3 intermediate options are Alamy, Dimmex and Photoshot. In my experience, it take about 2 years and 500 images before you start earning regularly. I really enjoyed this article. There’s nothing more inspiring than reading about a hard-working photographer making their dream come true. Fantastic Jon, I am now motivated. Do you need an apprentice to carry your gear? Lol. Great job. Thanks Bobby. My back would love someone to carry my gear. When I’m earning enough to hire, I’ll look you up. Hi Jon, thank you so much for sharing this post. I have always wondered how people do it, I assumed it was like this, so thank you for making my dreams feel more attainable and less laughable. Keep doing what you are doing, and next time I pick up a holiday brochure I’ll smile, because I’ll know how they got there and that I know I could be there one day. your story is absolutely inspirational Jon! And don’t underestimate yourself, you’re photos and videos are stunning! !